So this is a little more current. After that mine in Brussels the quadruped Iguanodon was pretty much eradicated. The kangaroo-odon took its place for most of the 20th century. 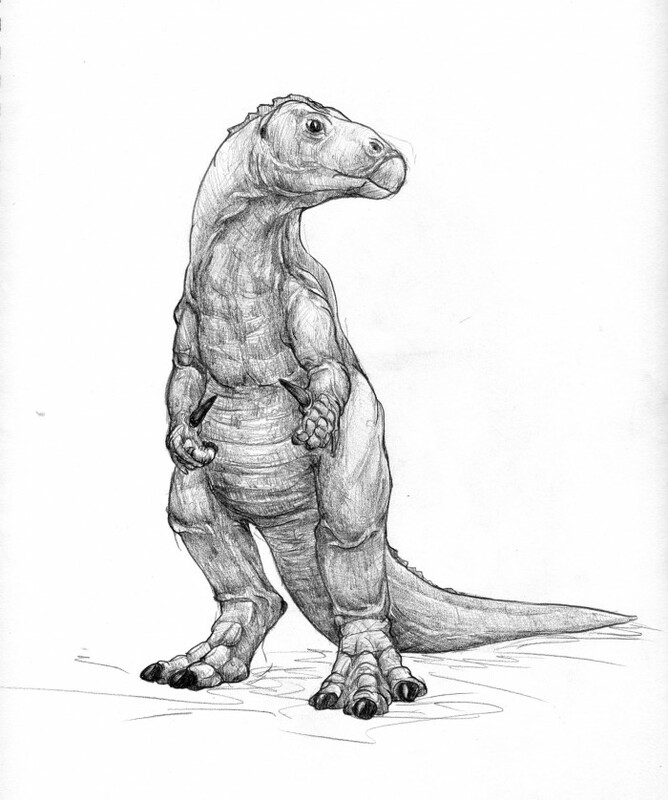 This entry was posted in Scanned Desksketch and tagged Dinosaur, extinct, Iguanodon, paleoart, Retro by Anthony. Bookmark the permalink.